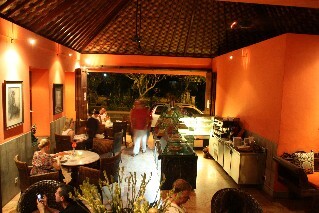 Restaurant information: Casa Luna Restaurant is located on the main road of Ubud, offers a selection of Balinese and International cuisine including Indian tandoori chicken, steaks, fish and chips. Casa Luna has live music - Wednesday night is Brazilian Jazz from 7.30pm - 10pm. Sunday nights Jazz Quartet play from 8pm. 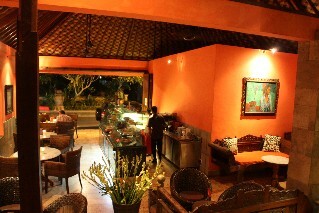 Casa Luna Restaurant also provides cooking school to learn how to cook a range of traditional Indonesian dishes. The cooking school has classes Monday to Friday. On Tuesday and Thursday the class includes going to the markets to select the fresh ingredients. 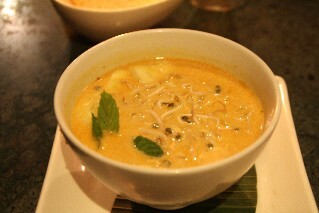 A great restaurant with good decor and an extensive menu to suit all tastes. 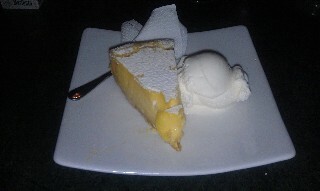 Make sure you save room for desserts as they have some delicious desserts. 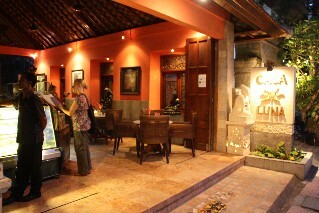 Have you dined at the Casa Luna Restaurant Ubud Bali?